Positive Thinking Statements have the power to shape and change your thinking and your attitude throughout your days. Repeating or even thinking of positive statements holds the power to keep you energized, excited and your mind programmed for success. By continually filling your mind with positive thoughts you are constantly programming your subconscious mind to build on these positive thoughts and statements. You truly do have control of your reality and your own self-concept. The statements you make to yourself define the person you become and how you live your life. Developing the habit and the practice of repeating positive thinking statements to yourself all throughout the day should become one of your top goals in life. When it seemed as though my life was pretty much gone I found myself falling deeper and deeper into a depressive state. If you read my story you will see that I had a lot of really tough challenges in my life and it took all I had at times to just get out of bed. But I consider myself lucky. I decided early in my life to take a huge interest in personal development and I studied every aspect of the subject. I soon learned that repeating positive thinking statements had an incredible affect on my attitude. 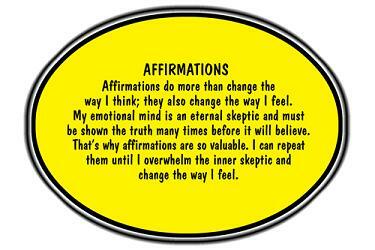 I learned to use positive affirmations to control my thoughts and how I talked to and about myself. 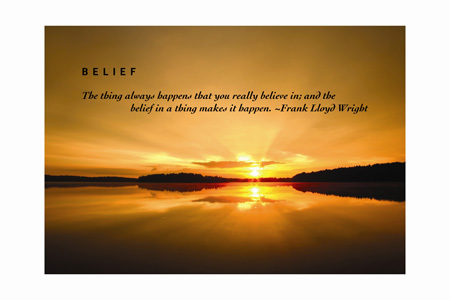 Affirm the positive, visualize the positive and expect the positive, and your life will change accordingly. Positive Thinking Statements Help To Maintain A Positive Mental Attitude! One of the strongest most effective aspects of personal development is the practice of positive thinking, positive believing and positive self-talk. Personal development is positive personal growth in every aspect of your life and with a positive attitude your efforts to improve your life will not fail. 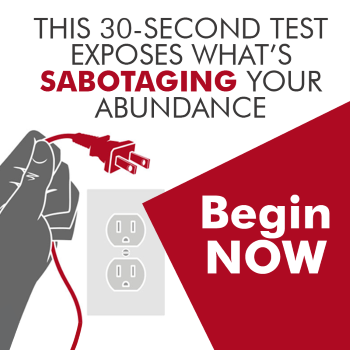 Self-talk is incredibly powerful and if your self-talk is negative your will have poor results, however if you repeat positive thinking statements on a continuous basis you will realize positive changes in your life. To enjoy real peace in your life you must learn to eliminate any and all negativity. Your thoughts must always focus on the positive aspects of living. Concentrate on those things you have to be grateful for, the power of gratitude is undeniable. This is why you must be completely devoted to controlling your thoughts. A positive attitude will get you farther in life than most anything else. Positive thinking statements and positive affirmations will give you the control of your attitude. Our Attitude Toward Life Determines Life’s Attitude Towards Us. Tell yourself you have things to look forward to, you have past achievements that you can take pride in, you have goals set in your life and you can focus on those goals. Do what I do and keep journals of everything positive in your life, write down every achievement you have had that really gives you a sense of pride. Use these journals when you may be having a hard time thinking of good things that have happened in your life. DO NOT allow any type of negativity into your life. Positive thinking statements can help you avoid getting caught up in a vicious trap of negative self talk. They are short, simple, positive statements that you continually repeat to yourself. Examples Of Some Positive Thinking Statements. I am having a terrific day today. I am healthy and happy. I get better and better each and everyday. I am very outgoing and I have lots of friends. I have a terrific life with so much to look forward to. I have a family that loves me. I can face any situation in my life with secure confidence. I suggest you take some time for yourself and start a journal that all you write are positive thinking statements that you can turn to at any time to use in your life. Leave this journal in a convenient location so you can easily add to on a daily basis. The more you focus on positive thinking statements the harder your subconscious mind will go to work to bring wonderful things into your life. Practice this, believe in this, defeat those negative thoughts and live the life you deserve. Positive Thinking Statements will help you achieve all this and more! Hi, my name is Howard Grant Platt 111 and creating this website Positive Thinking For Personal Development has become one of my greatest passions! At the age of 35, I was diagnosed with a rare and incurable medical disorder. As a result of my medical issues, I struggle with various disabilities which challenge me every day of my life. Positive Thinking has given me the confidence and inner strength to persevere through the most difficult times. I try to use my story to inspire and help others to live up to their full potential. I know my calling in life is to serve others compassionately and to help those in need. Thank you for visiting my site. God Bless! Love your positive attitude, enjoyed the article. I could certainly help you, there is a lot involved however where there is a passion the work becomes a pleasure. I will be starting up my personal coaching services again soon, I am just working out a schedule based around my medical treatments but if you are interested just send me a message using the contact form on this site or you could leave another comment on here as I respond to all emails and comments.